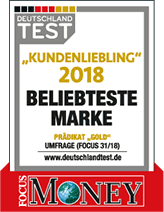 We have had our branch at Göttinger Str. 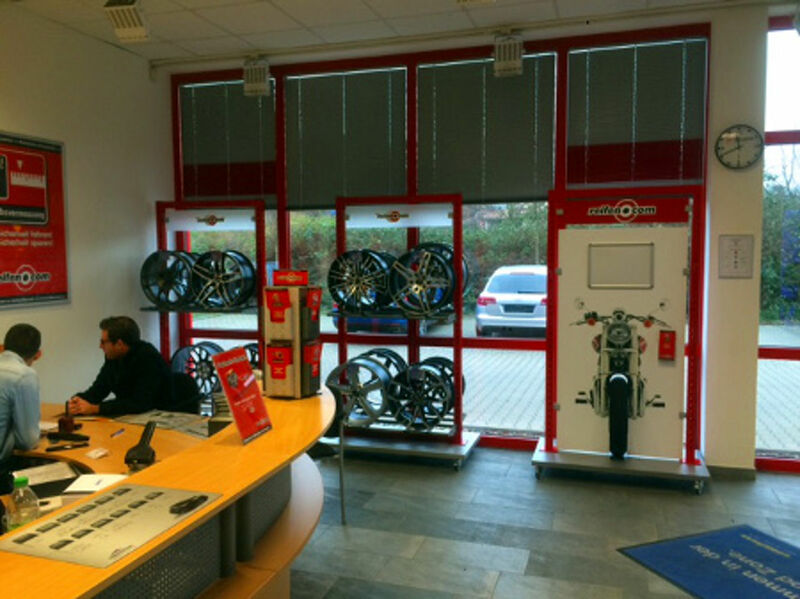 in Kassel since 2007 and offer first class service around the topic tyres with our four garage employees and three salesmen all year long. During peak season we employ further fitters so that you as our customer do not have long waiting times. 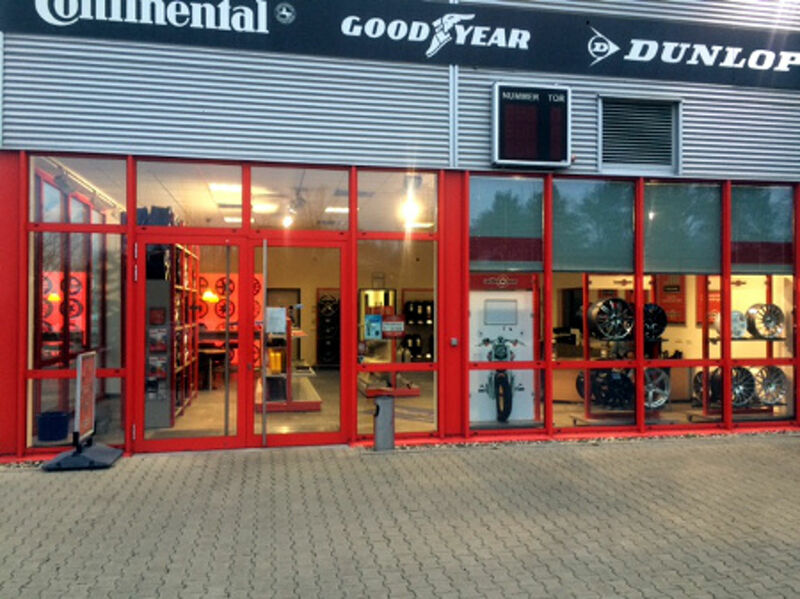 The branch manager in our branch in Kassel is also motor vehicle master and also all of our fitters are specialists from the motor vehicle area. 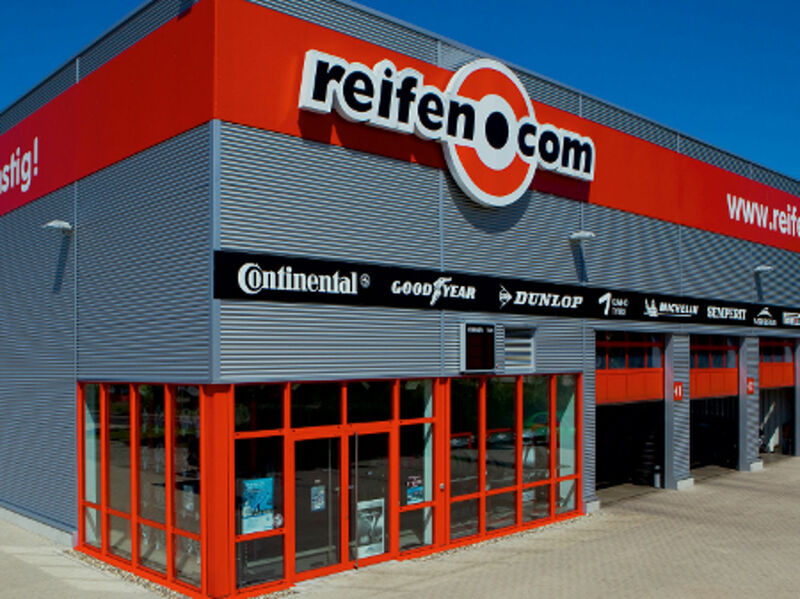 We offer diverse service around tyres on a total area of 780 qm² on four lifting platforms. 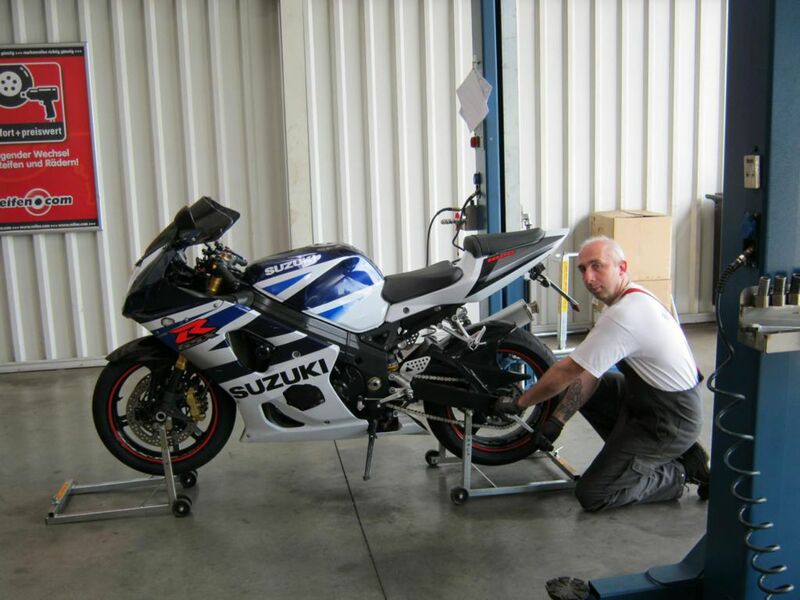 Motorcycle fans do not miss out either as our service program includes the tyre mounting and dismounting of motorcycles. are only some parts. Our friendly employees are happy to consult you via telephone, email and of course on-site at all times and find the best solution for your motor vehicle with you. We are also pleased to give you cost estimates on request or discuss possibilities of financing. You can look at more than 100 high quality rims in our showroom and check if they are suitable for your vehicle. Should one of our fitters notice damages on your vehicle during the tyre mounting, we will inform you about that directly of course. Contact us or come to us directly. We mount your new winter, summer or all season tyres with pleasure. 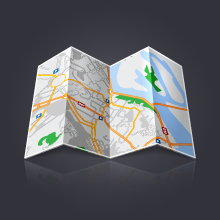 We always offer a consulting service to you. During the talk we can take your individual driving style and your needs into consideration and find the most suitable tyres for you. You can reach our branch at Göttinger Str. from the inner city or coming from Staufenberg and Lohfelden without problems. Stick to E45 as well as autobahn A7. What keeps you? Visit us today or arrange an appointment. ESP Formula 5W-30, New Life 0W-40 and Super 2000 X1 10W-40 to you. cash and carry price from 9.48 Euros onwards already – have a good trip!